Democrats have had all of the opportunity in the world to win and win big in this year's midterm election cycle. The conservative populist coalition that placed Donald Trump in the White House two years ago hadn't wavered in their support for the president, but they weren't all exactly fans of Republicans in Congress, whom they saw as part of the Swamp. Trump, they believed, had their back and was just mean enough to be that guy who stood up to Washington for them. At the same time, enthusiasm is sky-high among Democrats, who look extra likely to get out and vote against Trump in any way they can. Add a relentless news cycle of Russia, Robert Mueller, Charlottesville, provocative tweets, Vladimir Putin, more Russia, James Comey, Brett Kavanaugh, a snowball of Republican House retirements, and 70 other exhausting outrages in between, and all of the optics and polling clearly showed that Democrats had the upper hand over Republicans. Tack on the astonishingly impressive amount of money Democrats have raised, and the "Blue Wave" is beginning to look like it's being carried over the line by a green wave. But what if, in all of those details working against the Republicans, experts and pollsters missed that this midterm isn't the brake pedal that midterm elections typically are in a president's first term? What if voters weren't thinking left versus right or stop versus go as much as they were thinking in versus out? For a lot of people, very little has changed in Washington since Trump was elected. The swamp, the chaos and the elites who know best are still there. And there's only one thing standing between them and their betters -- and that's Trump. That would explain why in Senate and House races across the country, Republicans aren't doing as badly as they should be: People see some of their candidates running with a little bit of the revolutionary outsider versus Washington. That may end up being the test of this midterm election cycle. What kind of change do you want? Do you still want the revolt you wanted in 2016? The Kavanaugh fight might have re-sparked the old torches. As Democrats and the press came after the Supreme Court nominee and things looked bleak, Trump picked up the fallen flag of a Republican Party in retreat and charged the establishment. And then Sen. Lindsey Graham and the Republicans on that committee said, "Follow him!" And voters all around the country said, "Follow them!" Like it or not, you have to view sentiments through the eyes of the voters who live outside of D.C. and New York, who live in the swing districts and states that voted for Trump. They saw, for the first time, Republicans grow a spine and actually stand up angrily and loudly against Washington. It was sort of like a "Hell yeah, that's why we sent Trump there" moment. The un-energized Trump voters who don't particularly like Republican or Democratic members of Congress decided they did, in fact, like the party that stood up and fought against a mob leading a very Washington character assassination. The same type of mob hounds Republican senators or White House Press Secretary Sarah Sanders out of restaurants. It's the same sort of chaos as 5,000 illegal immigrants marching toward the border. This is what the elites give us, and somebody has got to stand up against that. 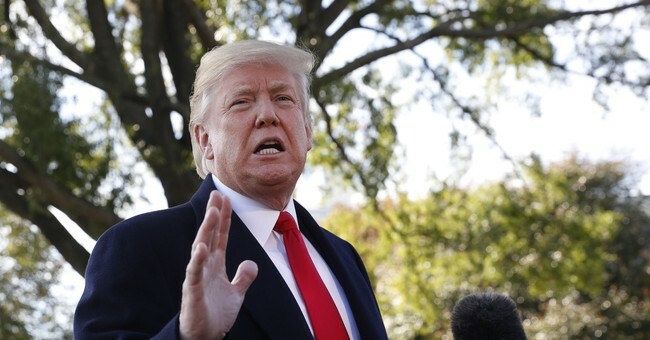 American voters elected a definitive outsider to the White House in 2016 with Donald Trump, and we've been shown few examples that those who placed him in office have changed their sentiments toward U.S. politics in Washington. The voters Trump brought into the fold don't necessarily like Republicans more than Democrats; it's just that the Democrats have aligned themselves with the elites in our culture and with news organizations that have looked down their noses at them one too many times. We still have no idea who will ultimately hold the House in two weeks. But we're asking the wrong question if we think about it as left versus right. It's really insider versus outsider. Salena Zito is a CNN political analyst as well as a staff reporter and columnist for the Washington Examiner. She reaches the Everyman and Everywoman through shoe-leather journalism, traveling from Main Street to the beltway and all places in between.